On November 5 yet another US soldier was killed by a member of Afghanistan’s military forces, as the country continues to be wracked by violence in its seventeenth year of war. 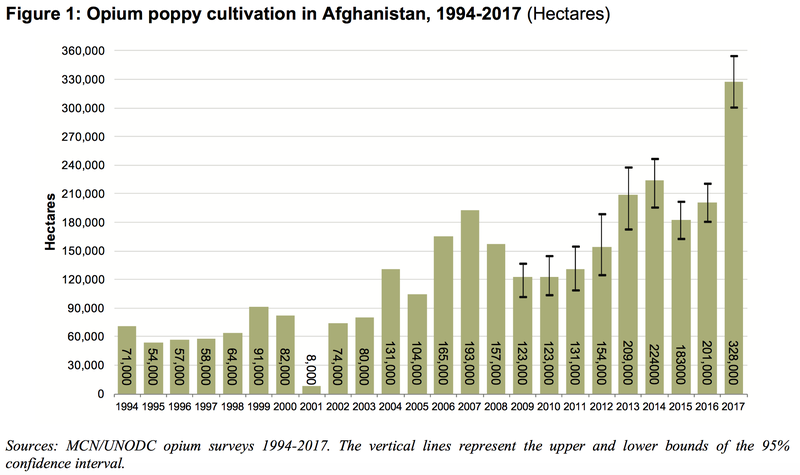 It’s all very well to blame Afghans for growing poppies and producing opium and heroin, but what they are doing is meeting international demand. 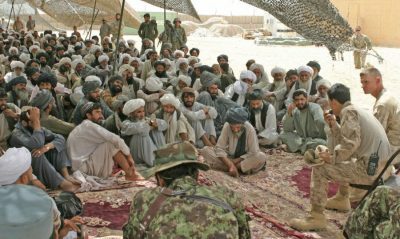 After all, there would be no drug industry in Afghanistan if there wasn’t a welcoming market in the drug-loving prosperous West — although it has to be noted that only about four per cent of its massive narcotics production ends up in the US, which gets most of its heroin from South America. He said “the Drug Enforcement Administration estimates there are 400 to 500 opium laboratories across Afghanistan”. So after that first attack in November 2017 there were ten down and about 400 to go.